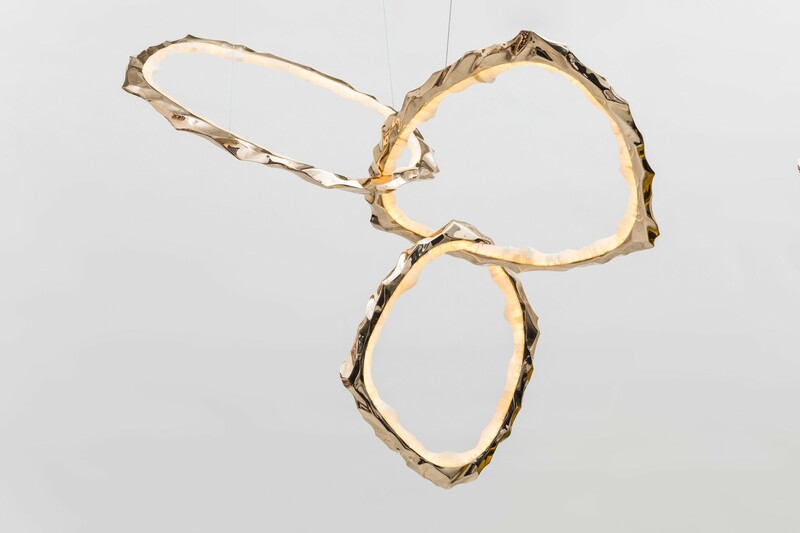 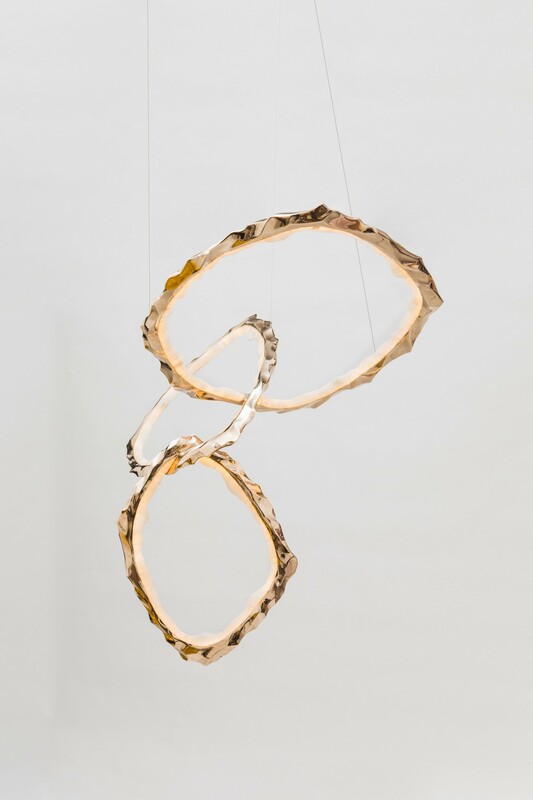 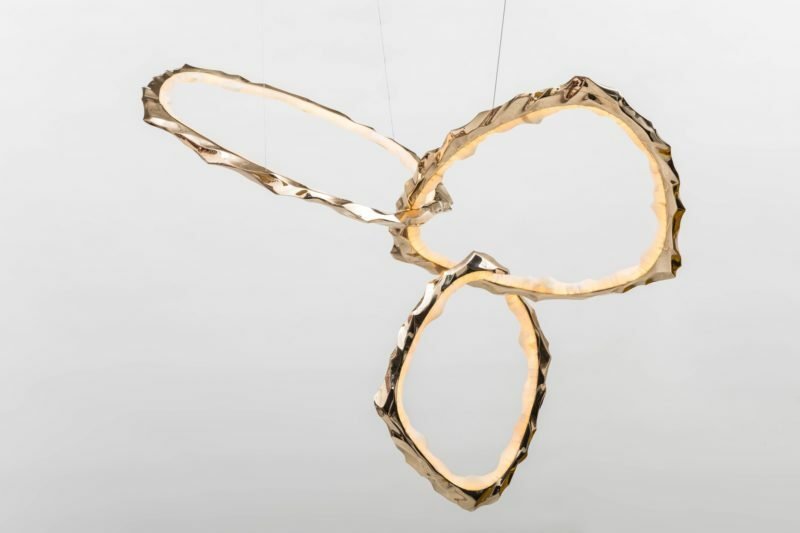 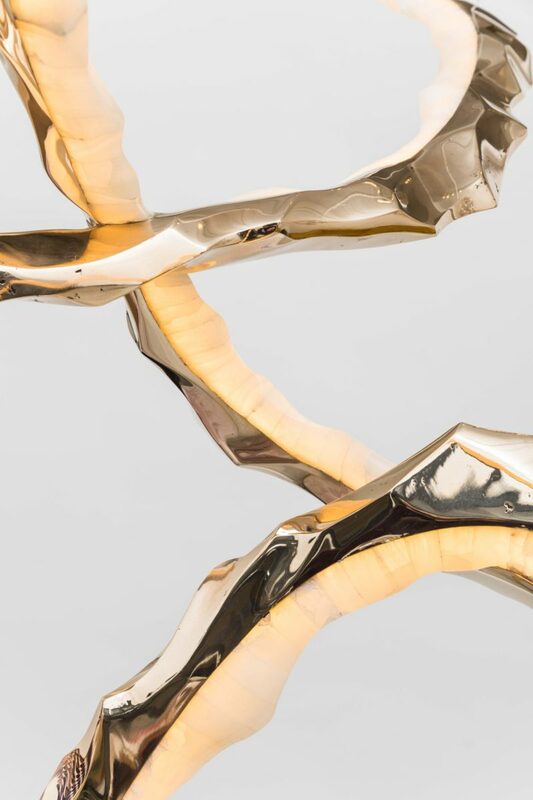 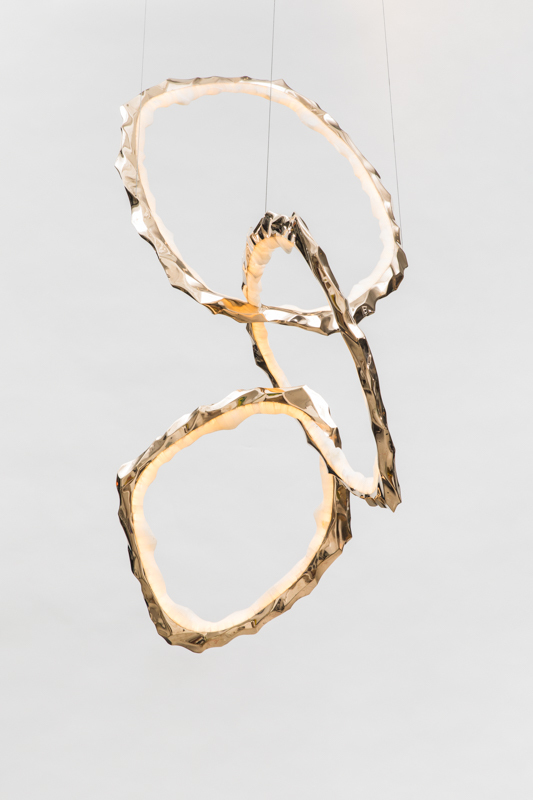 Haase’s latest group of lighting design, The Circlet Series, employs fresh and innovative design techniques while taking visual clues from his earlier hand-carved, laminated marble sculptures. 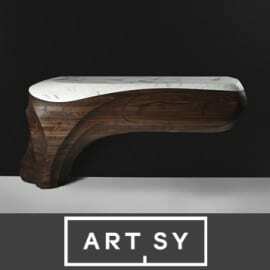 Markus began carving his own stone sculptures long before he contemplated making functional design. 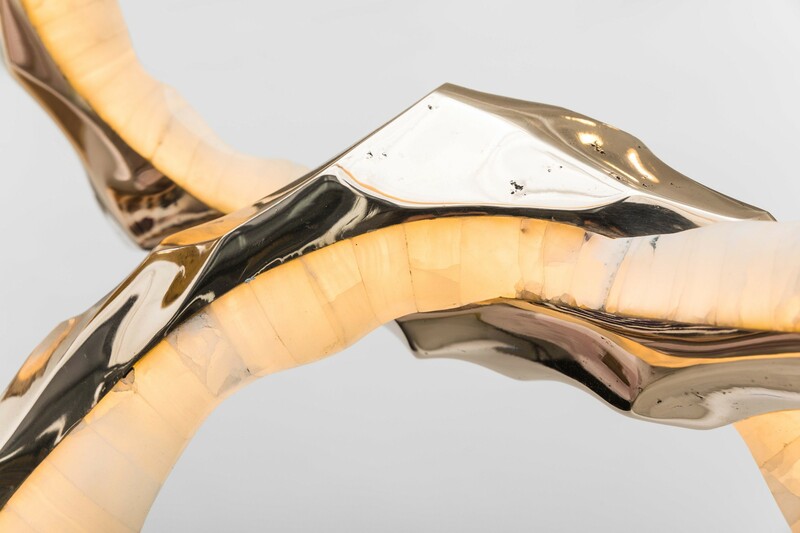 His stone sculptures incorporate sensuous forms with abstracted vision inspired by Brancusi. 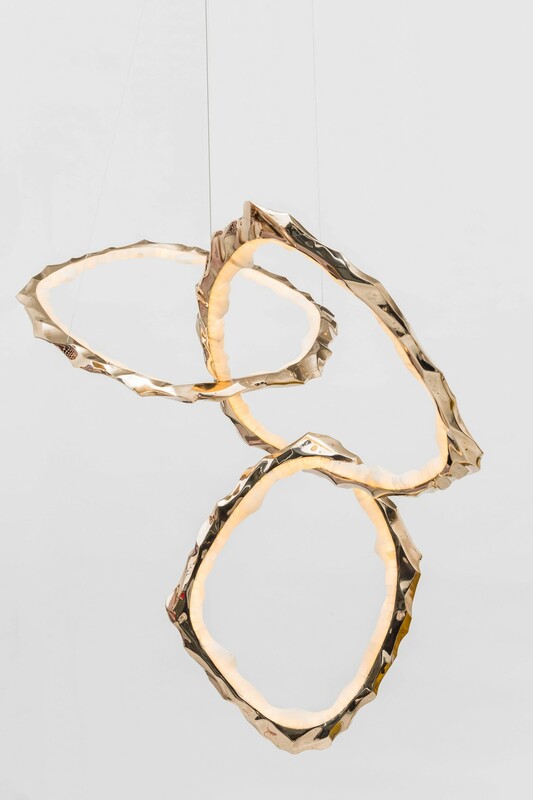 With a strong focus on asymmetry, Hasse creates faceted structures that catch and reflect light while seeming to defy gravity with a surprising weightlessness. His unique lighting designs begin with a hand-carved model, which Haase then casts in his studio, using a self-developed technique. 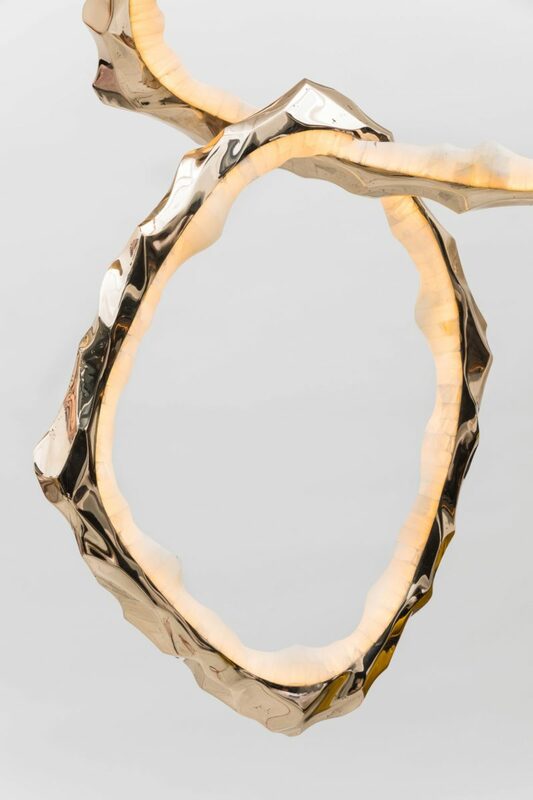 Stone – onyx or alabaster – is hand-carved with undulating lines mimicking the bronze “setting” of the work while diffusing dimmable LEDs. 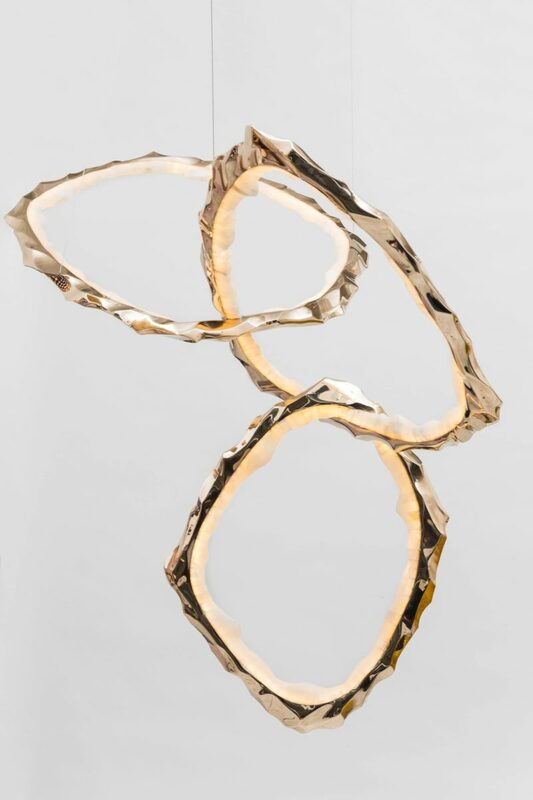 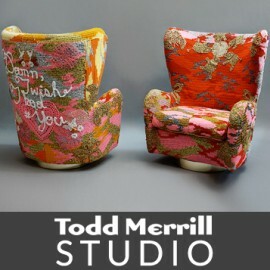 The ethereal glow of his jewelry-like fixtures is unparalleled in today’s diverse market of art and design. 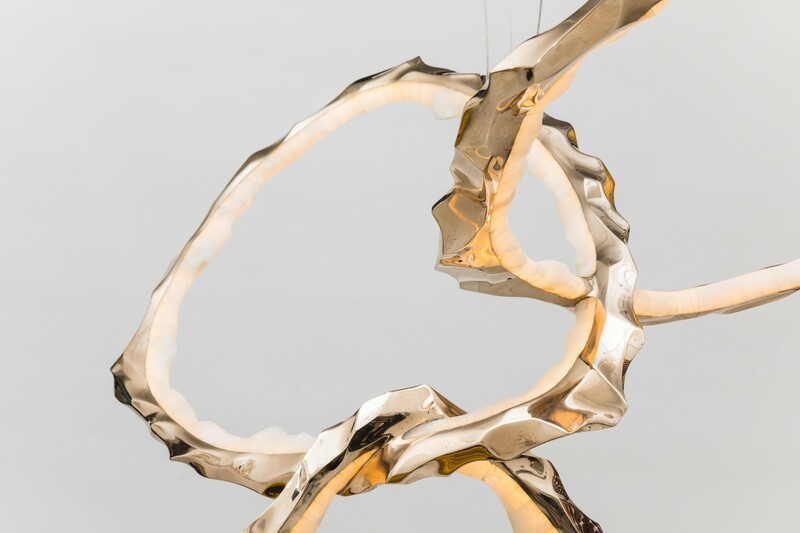 The series includes bespoke chandeliers and sconces.